Yoga has been coming to the West for a very long time, we just noticed it about one hundred years ago. Yoga, considered to be one of the oldest spiritual traditions in the world, and of which its origins are little known, was saved from the brink of extinction by a handful of people. Changing traditions and customs allowed it to grow to become the mighty practice it is today. Did you know that less than 100 years ago, yoga was a practice that was solely taught by men to men? That this was a one on one, guru student relationship and a closely guarded secret between them? 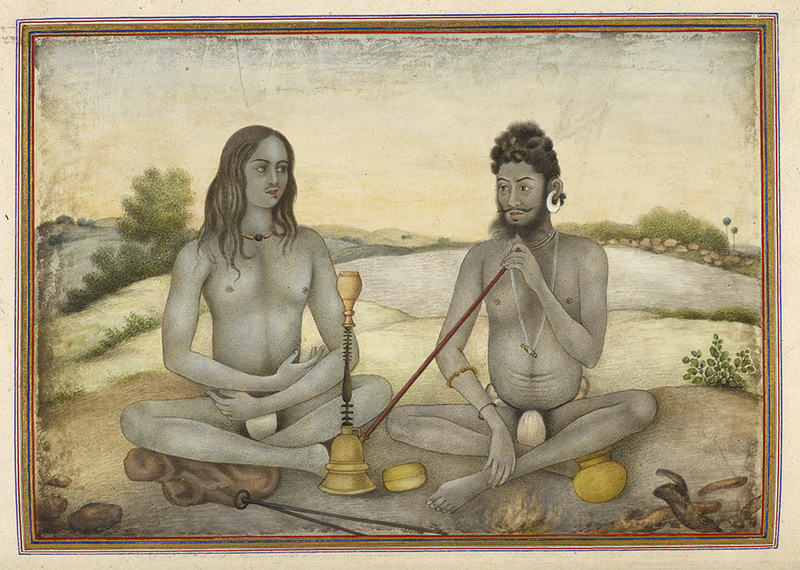 With British colonization, Yoga, among other Indian traditions, was slowly becoming extinct. How yoga grew from this secretive system and near extinction to one that is thriving in the West and primarily taught by women to women, can be narrowed down to the actions of just one man and his guru. When we grasp this fundamental shift we also understand how yoga became the greatest gift India has given to the world. Indian culture was systemically under minded whilst under British rule. This was a time when the upper casts wanted to be more like the Westerners, working in offices and sitting in chairs. The lower casts, squatted and lived close to the earth which helped to maintain their natural bodies and with no need for yoga. This period of colonization saw yoga, sanskrit, and other such traditional practices driven to near extinction. The style of yoga we have so wholeheartedly embraced in the west, can be traced back to one single individual, a brahaman yogi called TKV Krishnamacharya. He was, and is still, considered the single most important master of yoga. Together, with his four students, they would breath life back into yoga. His influence so great that it would forever shape, change, and create the foundations of this modern practice. He was a master, with degrees in Sanskrit, Music, Law, and Art. Considered a genius, having memorized all the yoga sutras. With tenacity, creativity, research, and dedication to his practice, he took postures out of obscurity, researching, mastering, and refining them before bringing then to the public stage. His hunger for knowledge had him seek out one of the last remaining masters of Hatha yoga, a reclusive guru who lived in the Himalayan caves, Yogeshwara Ramamohana Brahmachari. For seven years and under his guidance, Krishnamacharya lived the yogic teachings of asana and pranayama. It is during this period he developed the foundations and practice which we call yoga today. When his time came to leave the Himalayan caves, and upon his guru’s request, Krishnamacharya returned to civilization. Determined to bring yoga out of obscurity and into the ‘mainstream’, his master also asked that he spread the practice of yoga to the outside world. How fortunate for us, that his endeavors would prove to be so successful. Could you imagine a world without yoga? Initially, he married and settled in Mysor, where he lived for a time in poverty. There he worked teaching Sanskrit and yoga at the College of Sanskrit and his reputation as a yoga teacher began to grow. The King of Mysor, was a supporter of the arts and passionate about saving India’s dying traditions, after hearing of Krishnamacharya the King met him and was so impressed by his abilities he began to sponsor live yoga demonstrations. These exhibitions brought the Western spot light onto yoga and the incredible abilities this solid practice develops. 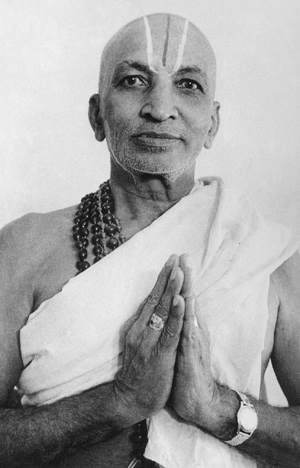 Krishnamacharya’s fame continued to grow, and he was soon sponsored to open a school dedicated to the practice of yoga. From here he developed sequences of movement and breath now known as ‘Vinyasa Flow’. It was in this school he would teach his influential students, and each would leave their influential mark upon this ancient practice. Bellur Krishnamachar Sundararaja Iyengar, better known as B.K.S. Iyengar is considered one of the foremost yoga teachers in the world, and Iyengar’s sister was married to Krishnamacharya. Iyengar was a sickly and ill child who suffered from influenza, malaria, tuberculosis, typhoid, and accumulative malaise. 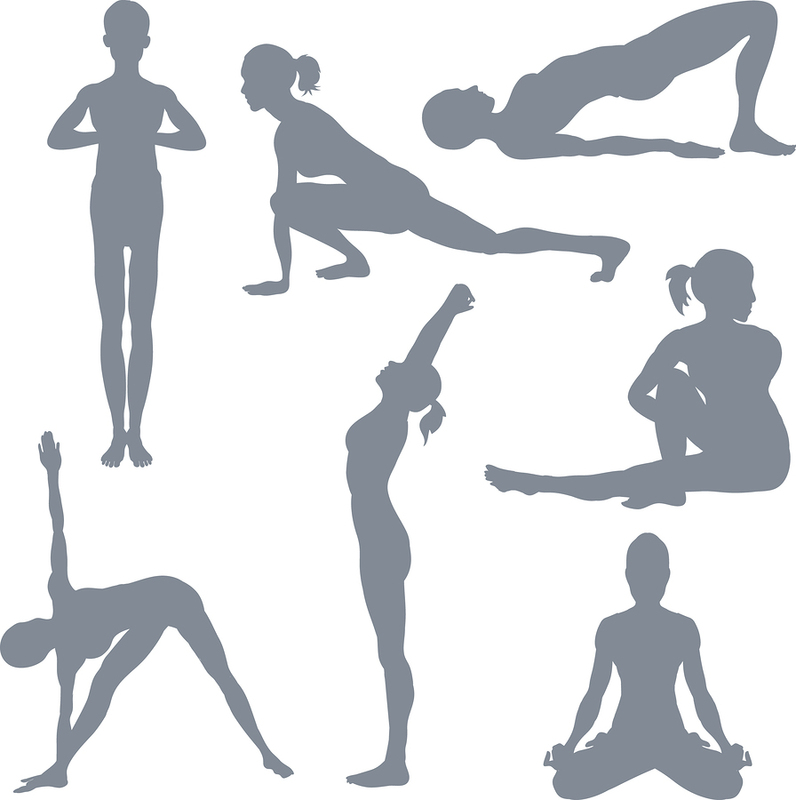 Iyengar called these his ‘gifts of unfortunate ill health’ that would lead to the practice of yoga. When Iyengar was 16, his brother-in-law, Krishnamacharya, suggested he practice yoga to help with his ailing health. Iyengar, with his initial physical limitations could only practice with the use of props, the same props we still use today,the strap, block, bolsters and mats, all came into existence. It took 6 years of practice for Iyengar to recover, and his influence lead to modern restorative yoga classes and modification of poses. Iyengar is just as well known for his classic texts, such as ‘Light on Yoga’, which further flavoured yoga in a way that made it palatable for the Westerner. 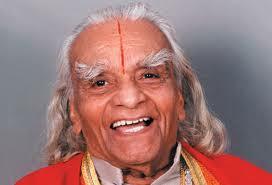 His significant role not only influenced yoga but created the style of yoga known as “Iyengar Yoga”. 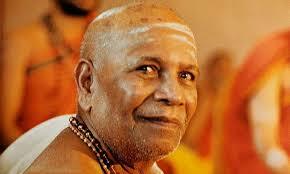 Since he was a young boy, K. Pattabhi Jois was also a student of Krishnamacharya. 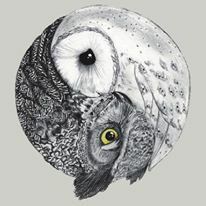 He further developed ‘Vinyasa Flow’, connecting breath to the flow of asana, however he paid particular attention to strength, flexibility, as well as, creativity, resulting in the tradition of Ashtanga yoga. Pattabhi Jois believed that this practice helped build tapas, or heat, which purify the body, clearing illness and creating longevity. Pattabhi Jois was to teach the king of Mysor and have a large Western following which continues to grow today. TKV Desikachar is Krishnamacharya son and disciple. When he was a young man he was never interested in yoga preferring to follow his intellectual pursuits. Eventually he did follow his fathers path and developed his individual approach to his father’s tradition which includes pranayama and chanting. 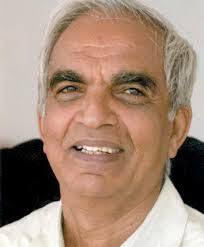 He has opened centers that share Krishnamacharya teachings to every one interested and without charge. This public service is his offering to his late father. 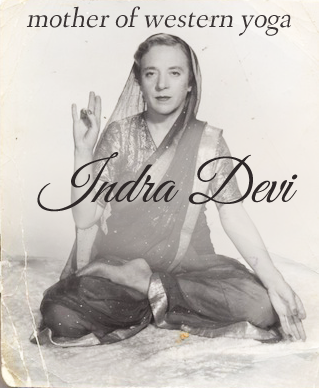 Finally, we arrive to Krishnamacharya’s most controversial student, Indra Devi. How astonishing to think this 1930’s socialite was to change this ancient tradition, but the course of modern yoga. During a time when yoga was only taught to Indian men she was not only the first Westerner, but the very first female yoga student. Her mother was a close friend of the King of Mysor, and on one of Indra’s visits to India, she saw these public exhibitions and asked to be a student of Krishnamacharya, who promptly declined her. The King of Mysor asked Krishnamacharya to accept her, as his friend, and without having any real choice in the matter Krishnamacharya was forced to accept this western woman. This went against his views on how yoga should be taught and he did not make life easy for Indra. Trying to discourage her by making her live in the furthest quarters, wake at 4 am, and she was instructed to only eat food that was grown above the ground and in the sunlight. Despite this, she never wavered and fortunately, she never gave up. She embraced the challenge, adopting the food and local customs, and the local people grew to love her and sing her praises. In time Krishnamacharya found her to be a serious student and with that decided to break traditions and personally teach her. Many teachers and scholars scolded him for his new direction, to which he replied ‘if we do not encourage women the great Indian tradition of yoga will die’. It was true, yoga was dying, and Krishnamacharya understood that traditions had to be broken during these challenging times. His position shifted from being staunchly anti woman to being their biggest supporter, and his foresight would guarantee the traditions revival. He taught Indra for one year straight, and then asked her to become a teacher and bring the practice to the west. 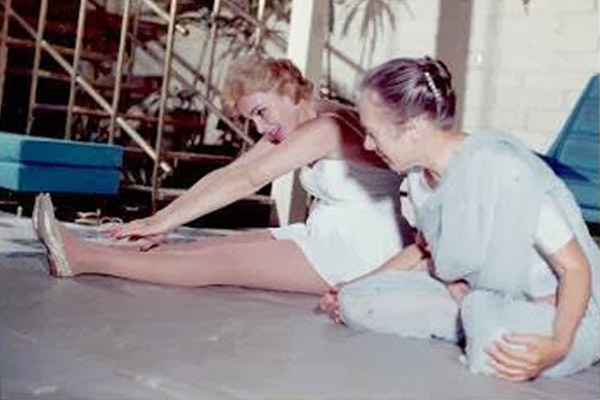 She headed to the USA in the late 1930’s, opening the first yoga studio in California. There she taught the Hollywood stars and was embraced by icons like Marilyn Monroe and Greta Garbo. Eventually, she moved to Mexico, lived there for many years whilst adopting the customs and the language. She was loved where ever she went. She opened an ashram which attracted people from all over the world and which also offered ashram teacher training. From here, the practice grew, its followers grew, and more and more women embraced it. They became teachers, and in turn, taught other women. And the rest, as they say ‘is history’. DVD Yoga Unveiled Evolution and Essence of a Spiritual Practice.